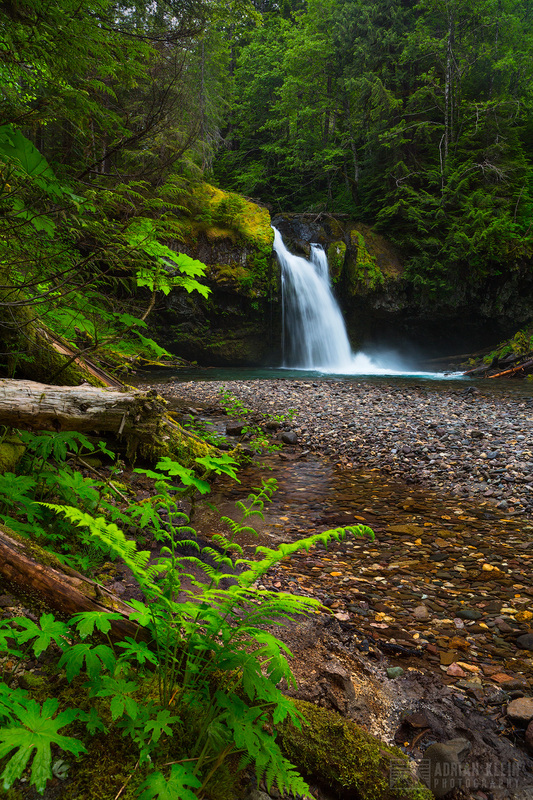 Whether you are heading out on a photography adventure for a weekend or week, or even longer, there are things we all think about taking beyond our camera equipment and accessories. I believe there is non-photography equipment that helps make or break the outing. I am guessing we each have a mental list of these types of must haves. These are mine and maybe there is one below you will want to add next time you head out the front door. Most know it as a gadget or cord organizer yet I prefer cord caddy. Prior to early 2018 I was simply grabbing cords that I needed from my desk, bags, storage drawers or wherever each time I headed out. If you are still doing this I would say just stop now and save yourself future headaches and time. I know when I am ready to go I just grab it and I will have iPhone, iPad, USB, Micro USB and other cords at the ready. I also include a power bank that is charged back up as soon as I get home, assuming it needs charging, so it’s ready to go as well. 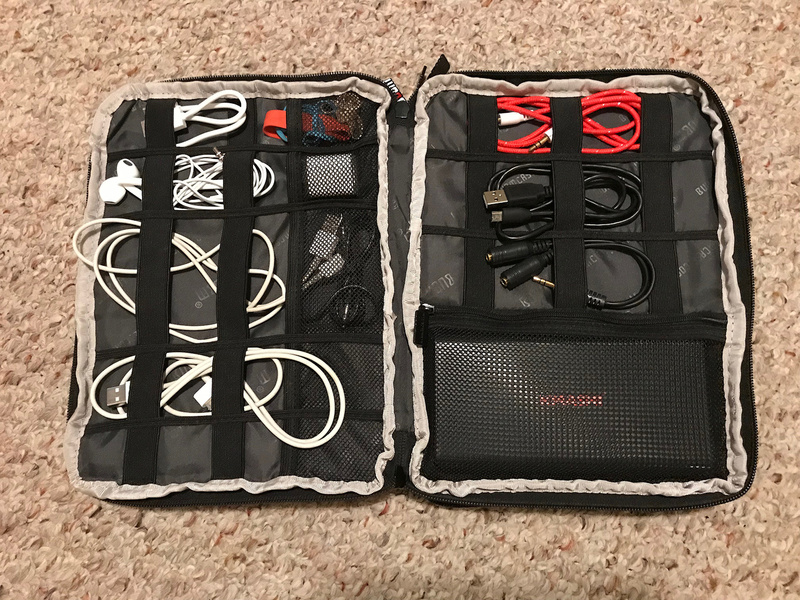 I have had a number of people say they don’t need a cord carrying organizer like this, only to be with me and then use it while we were on the road and realize they could use one too. Tip: The cords in my cord caddy never come out at home. They stay in here and go on the road only. When you are out scouting around, or going back to locations you noted before, you need a place to track that info. There a lot of options out there from complex to simple and you need to pick what is best for you. I use a couple tools which covers a combination of mapping and notes. 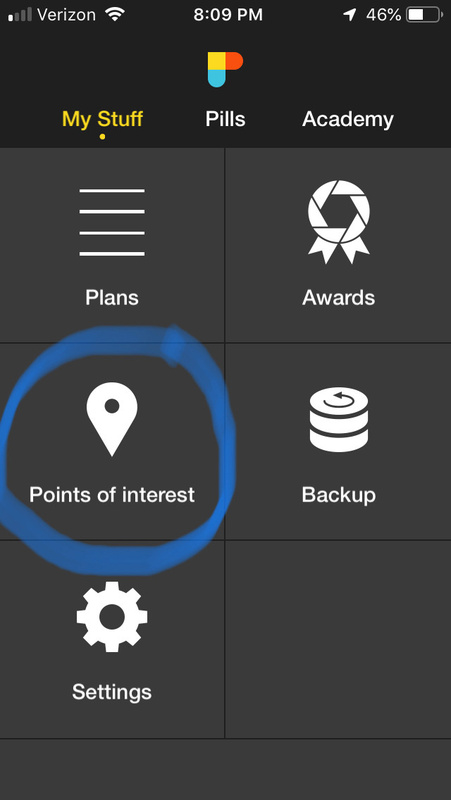 PhotoPills – Known to most as a photography tool to see sun, night and other details for planning photos yet there is also a section called Points of Interest. You can drop a pin at the location and save it on the map. 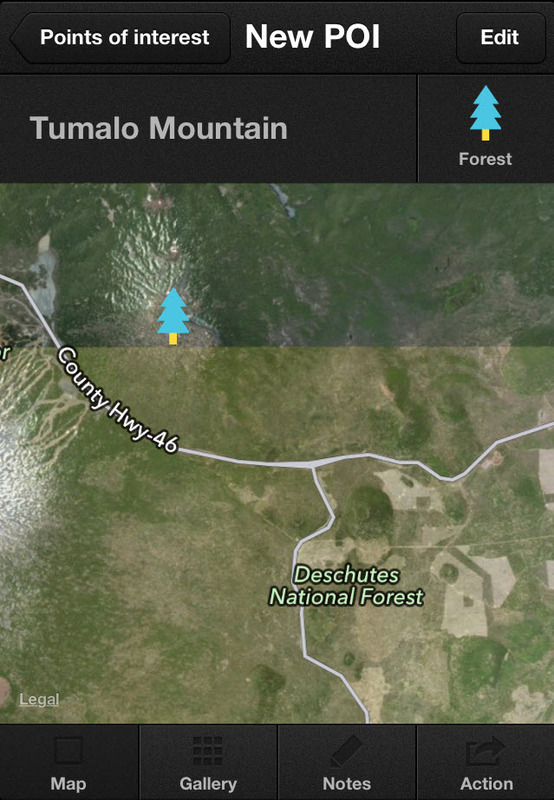 These locations can be exported and viewed on Google Earth. Reference List – I will get more into the specific tool later on when I talk about pre-trip packing yet I use an online tool and app for making simple notes about locations that I want to visit in the future. This is helpful for when I am not at the location that moment and want to take note for referencing later. Tip: Take snapshots with your phone that you can attach to locations listings in tools like Photo Pills. We are photographers after all so visuals will help months or years later. Anyone that knows me is probably laughing at my title here. I have a little bit of a reputation when it comes to my appetite. You don’t need to have a lot of snacks but I won’t leave home without any! I literally have a reusable shopping bag that sits on my office shelf. When I run out for the day or weekend, I just grab it and know I will have something to eat regardless where I end up. It’s not meant to replace main meals yet I do keep a freeze dried meal in that bag just in case. Mainly I keep non-perishables like granola bars, nuts and dried fruit. This saves me from rummaging through the cupboards when I leave on short notice. Tip: If you have long breaks between using your at-the-ready food stash check inventory before assuming anything. I once found some beef jerky that looked more like scraps of gray colored fleece! I think it’s key to any trip, short or long, to leave home with what you want, or if you are leaving it behind you choose to intentionally. I tend to follow the GTD methodology. If you are not familiar with Getting Things Done, I would search more online as I won’t go into details on this post. I use a GTD type tool called Nirvana that allows me to create all sorts of specific reference lists. This is the same tool I mentioned earlier in relation to location notes. In this tool I have specific lists as it relates to photo equipment to pack, backpacking trips, weekend trips, etc. Having this tool is invaluable to avoid recreating lists all the time. Tip: Tools like this allow you to turn regular old list into a checklist on a phone where you can literally check each item off as you go. 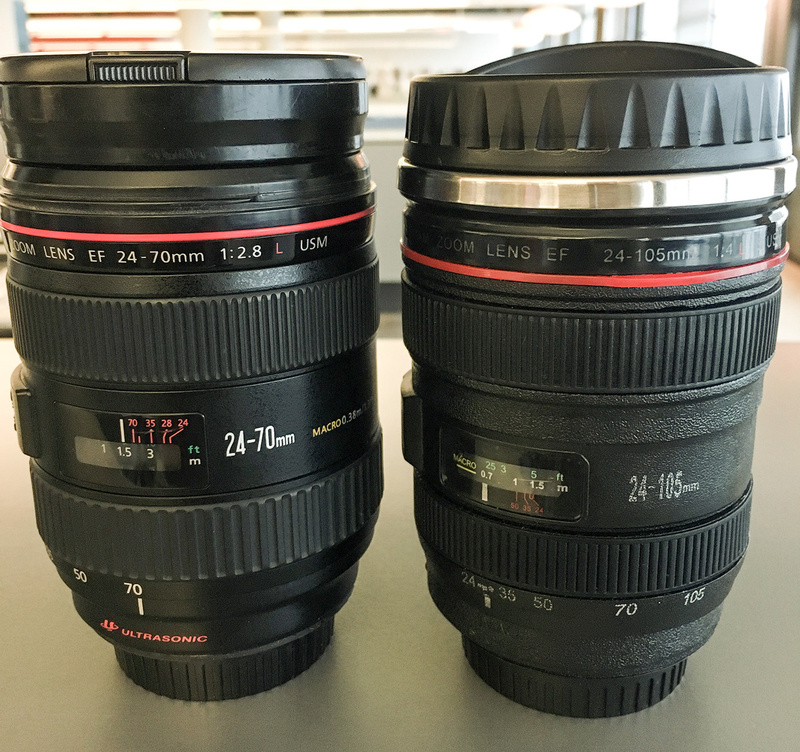 This is definitely helpful when packing up a bunch of camera gear. I occasionally add or remove items from a reference list and having the app while I am out on the trip to do it when it’s fresh in my mind helps. There are exceptions to this yet when I am traveling for photography, especially on my own, I want to be able to crash just about anywhere and be able to quickly go to bed and quickly get up. I am not talking about having a camper or RV; although those can be great too in the right situations and we use one for family trips. I am thinking of ease of simply throwing in a sleeping pad and bag. I think the last vehicle I owned that did not have seats that fold down and long enough rear to sleep in was ~20 years ago. Before buying my current SUV I was chatting with family friends over dinner and they asked what I was looking for in my next vehicle. I said one of the top few requirements is ability to sleep in it. They laughed until they realized I was serious. I realized if you don’t truly have this need you can’t relate. Tip: Coleman makes an inflatable sleeping pad that is built for using in SUV/Trucks. Fits perfect in my SUV and gives more comfort than Thermarest type options, if you have a few minutes more to spare. If you want to keep air flowing through the night during warm seasons while keeping the bugs out, cut a piece of no-see-um mesh a little larger than your window. Use magnets to hold it in place on the outside and then roll down your window a bit for air. I bring these mainly for the environment conscious side of me that wants to avoid buying coffee or water on the go that results in cups or bottles I will just throw away. Not to mention I prefer to use my own over disposable cups and bottles. If I am out for several days and happen to stop by coffee shops or places to grab meals on the go, I would have a lot more waste without them. There are certainly cases where I have not used them but generally speaking regardless the type of trip these come with me whether plane, train or automobile. Tip: I have found the best luck with Nalgene water bottles. They never leak or break. I found myself going through too many metal bottles that quickly get dented up, and they are not cheap. I don’t know about you but any photo trip whether short or long needs music and or podcasts! I do like my silence out in nature when on the trails, and I still have yet to understand these people hiking in nature with the music blasting from their backpack. That said music at the right moments during a trip is essential. I noticed now that we rely on streaming music and less on music stored on our phones that it can be helpful to have a playlist on Spotify, or whichever service you use, downloaded to work offline. I have caught myself more than once in a no reception area with very few songs on my phone. One trip this summer was about an hour drive from cell reception, we appreciated having music to listen to. Oh and don’t forget your portable speaker if you have one. These are great for hanging at camp or the hotel room. Tip: Although most rental cars these days have Bluetooth or an auxiliary adapter I still sometimes see one that doesn’t. Bring an FM Bluetooth transmitter that you can use to listen to your music in the rental. With all of our reliance on being constantly connected online to reference directions, reservations, etc I try to avoid relying on this 100%. I still have some printed materials and or at least available to get on my phone offline. I can think of a trip with another photographer where we left the airport and started driving in the rental car only to realize they had forgot the cord for their GPS. This is before we all had GPS maps on our phones. I was thankful I brought an Atlas roadmap with me as we ended up using that in place of the GPS. Tip: If you have crucial info like directions for hard to find areas, trailheads, etc then take screenshots ahead of time or note in document and save as PDF. You can then put that on your phone through tools like Dropbox or Box for reference offline. This must be the Boy Scout in me. 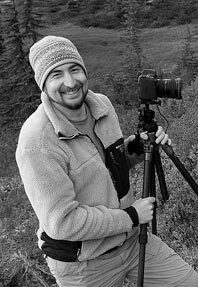 Although I am not out to earn anymore merit badges for being prepared a small’ish first aid that I carry either in my camera bag or backpacking pack has been used and replaced many times over. Band-Aids are only one of many items I carry. That vial of ibuprofen has come in handy more than once. Tip: In order to always ensure you have a ballpoint pen/pencil and duct tape when you need it, you just need to wrap some duct tape around a pen and stick it in your first aid kit. I am planner. It’s the project manager in me that wants to know everything up front. Where I am driving, when I am hiking, what’s the weather, how long, how high, what do I need to pack, which packs do I need, which cameras and lenses will I take and the list goes on. In the end I have found it’s kind of like Zack’s recent post on luck and opportunity and preparation all meeting. No matter how thorough and well laid out your plans are the one item we all will be better off if we take along on trip is an open mind to take a different path or road. That is the mindset to change plans at any time if that is what makes sense at that moment. Here is an image from a trip this spring where I ended up photographing something completely different than I had planned out yet had a great trip regardless. Now grab your “essentials” and head out for your next trip!